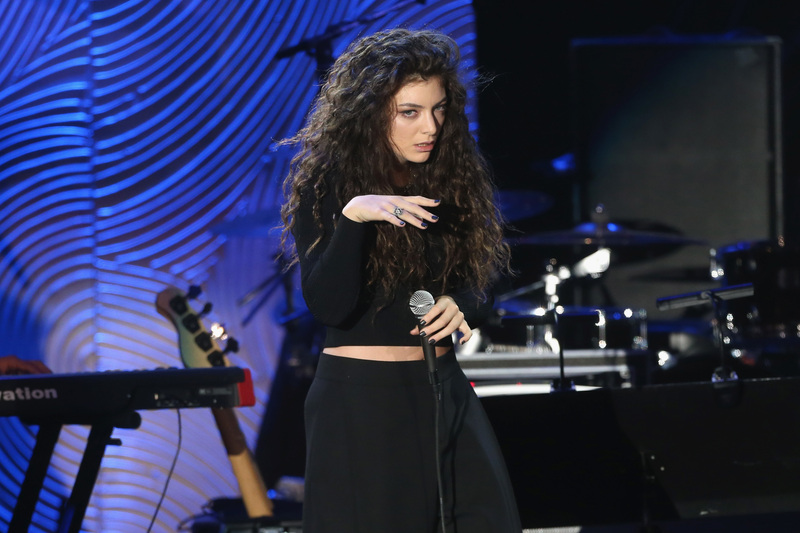 Anyone within earshot of a human person over the age of 40 last night while watching the 2014 Grammy Awards probably encountered a serious line of questioning when Lorde came on the screen to perform her smash hit and statue-earning tune, "Royals." Even if you weren't, you likely saw a lot of it on Facebook. "Who is this girl?" "Is this what passes for talent these days?" "That ain't music!" they shrieked, sounding exactly like their parents did way back when. Yadda yadda yadda, blah blah blah. Every group has a breaking point on their limit of appreciation for the creative and provocative innovations of the following generation of humans. All people want is for musical history to repeat itself. Thankfully, for those of us without this deficiency in hearing and understanding, there is the Internet and people who consider themselves clever and funny joke-makers. Like YouTuber John Swan who crafted this rendition of the singer's Grammy performance with a facetious "sans autotune" label, wherein he derpily sings a series of glottal sounds and squeaks and squawks as a satirical take on the New Zealand pop singer. What may have started out as a comedic take on Lorde actually ends up being a bit of a teaching tool, as it illuminates how the ears of The Olds process a singer like Ms. Ella Maria Lani Yelich-O'Connor. Just grab your nearest out of touch oldie (no cougars or man-childs allowed: they're too well-versed in the ways of the young) and play the Lorde performance and then this video in succession. See if they can tell the difference — chances are they won't! Ah, the sweet, sweet sound of a generational divide.